Welcome to the second part of this series of blogs about my experience, as a newbie to project management, going through the PRINCE2 Foundation & Practitioner Classroom course. Part one covered my first day’s training at London’s Imparando Learning Centre. If you’ve considered taking an ILX classroom course and you missed that post, do go back and read it through. It covers useful tips for making the most out of being a PRINCE2 delegate and what else you can expect in the event that you attend. This post will begin where the last left off, taking you through what happened during my second and third days’ training, and ultimately how it felt to come face-to-face with the PRINCE2 Foundation Exam. My hope is that, by reading it, you will get more valuable information about the course from the perspective of an average PRINCE2 trainee. The morning of my second day reminded me of what I had learned twenty-four hours earlier during my commute - staying near to the classroom’s location is a certain benefit to the PRINCE2 delegate. This presumably goes double if you train in London as I did. Traffic can be heavy and public transportation has a tendency to fall apart when you most need it. Plus, with a portion of your evening taken up by assigned homework and with so much information to take in during the day, any extra sleep you can afford yourself will pay dividends. Therefore my twenty minute stroll to the Imparando building I counted as a definite blessing while navigating the wintry, unfamiliar streets. The other delegates would arrive shortly after me, taking seats behind name-tags and surrounding our tutor Dennis Sheehan. It wouldn’t be long before self-deprecation and modesty filled the air, as all began to discuss their encounter with the past paper assigned last night. However, before diving into the Q&A session we had scheduled for clearing up concerns resulting from the practice paper, Dennis made this plain for us. Any personal assessment of our project management skills made as a result of this brush with the practice exam would be both premature and inaccurate. The announcement of this fact appeared to calm any kindling anxieties in the room. When it came time for the Q&A shortly thereafter, with very few exceptions everybody seemed satisfied with the provided booklet containing the paper’s answers and their rationale. As day one had been, the start of this second session was an excellent showcase for the skills of Mr. Sheehan, who would soon be known affectionately by the group as “Den”. At terrific pace and in his inimitable style, our trainer carved through several chapters of the PRINCE2 manual. With his wealth of insider knowledge as both an experienced project manager and teacher of the subject, he was able to provide not only the best by-the-book answer for those primarily concerned with certification, he could easily elaborate on possible shortcomings in the material for the specific cases of the delegates. Covering the Initiating A Project process, he was able to supply us with a litany of illustrations from past work with corporate entities, large and small. While guiding us through the Risk theme, Den would always try to elicit the correct thinking from his students. By asking leading questions, giving examples from past exams and providing extra notes and annotations to go in our books, he exceled in this objective. At lunch, the knowledge that the Foundation exam loomed on the next day’s horizon contributed to a palpable nervous energy. There was certainly a concern amongst some that we wouldn’t have the capacity to remember everything the course threw at us, though by this point it had been generally accepted that caffeine would help us meet the challenge. We were soon returned to the fray to work together on another ACE Computing case study – this time on Managing Product Delivery, dealing with handling risks to a project. These case studies (as I’ve stressed before but need to stress again) really were fantastic learning opportunities. Each group got to see the various ways project management decisions could be justified; they got to investigate and explain their thought processes, then they got to drill down into the best possible and most accurate PRINCE2 response with the critique and guidance offered by Dennis. Between regular caffeine breaks and Den’s hard, fast and yet thorough coverage of the key essentials, the Risk, Change and Quality themes flew by alongside the hours left to the afternoon. Knowing the burden that sitting an exam would present to some delegates, Den again made the proposal – which was universally accepted – that going home to test ourselves with another past paper would be the best course of action. So we would soon find ourselves privately measuring our assimilation of PRINCE2 knowledge against an answer & rationale booklet once more. My personal feeling is that these solo revision sessions were extremely useful in the scheme of things, as through them one gets a real sense of what has sunken in. If you are anything like me and my fellow delegates on our second day, you will surprise yourself with how much you have absorbed. By day three, navigating my way to the Imparando Centre had become a relative doddle. The real concerns at this point in your training are: “am I prepared for the day’s learning?” and “will I then be ready for the exam?” My advice concerning your third day of PRINCE2 would be this: starting off with a big, hearty breakfast is not at all a bad idea. With only a few hours between us and our sitting of the Foundation exam, the past paper Q&A session that launched the day was in stark contrast to Tuesday’s. People were positively hungry to take advantage of Den’s knowledge, getting as many last minute clarifications from him as possible. He fielded a dozen queries in total, painstakingly explaining away any confusion around the paper’s answers and rationale. On this morning, he considered no explanation that he gave good enough until everyone in attendance affirmed their comprehension. Following this review, the morning’s session went on to cover the Plans theme using Den’s story of a house build he completed in Norfolk as the principle illustration. Then, after the much-loved caffeine break, we grappled with the ‘focus on products’ principle because this and the concept of ‘Product-Based Planning’ had been identified by the group as areas of weakness. Den managed to assuage our fears by offering a full, detailed walkthrough of the PRINCE2 manual’s appendices, containing lists and diagrams of the major components of every aspect of this style of management. Then it was straight into the Managing Stage Boundaries, Controlling a Stage & Managing Product Delivery processes. All were covered in rapid succession, adding clarity, context and anything missed in previous sessions. Occasionally we made use of an instructional video direct from the e-learning package to help solidify the fundamentals. When it came time for lunch, for many the nerves were back with a vengeance. For me, making the most of the Imparando-provided lunch was a definite priority – a last minute source of energy and strength to assist with the two remaining sections left to learn before the exam. 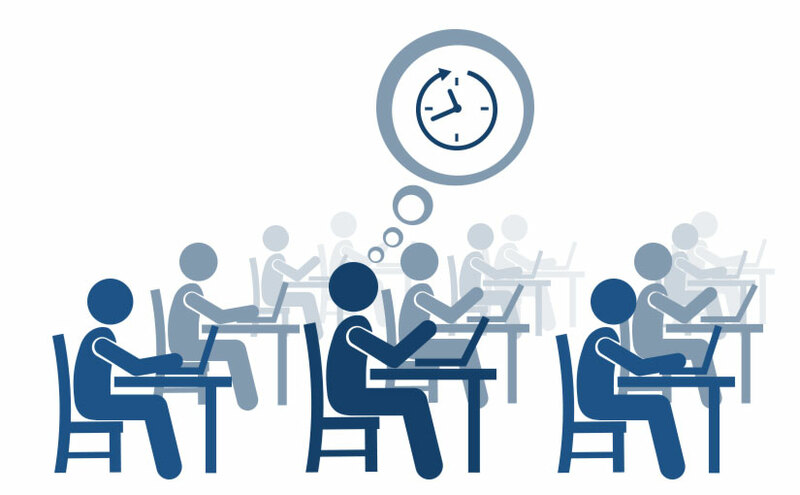 Many would use the lunch hour for discussion of experiences with the week’s past papers and sharing of exam strategies before returning to the classroom. Dennis rounded off proceedings with proven teaching agility, bringing us through the Closing a Project process and providing a bit of information around embedding & tailoring PRINCE2 within an organization. A break would then allowed to give everybody time to have a breather, to get clarification from Dennis where any doubt remained, or to quietly revise and otherwise ready themselves. Most knew by now that we would know of our success or failure the following day. The moment of truth, as they say, was nigh. A few minutes before the exam, Dennis would lay out all necessary administration. The rules and regulations were explained, expectations were set and last minute reminders were given about techniques for success. With the papers on our desks, the stage was set, the timer readied and before we knew it Den had fired the proverbial starting pistol. For myself, the requisite silence of the test conditions set off a surge of adrenaline at first. I imagine other PRINCE2 delegates, for whom examinations of this sort are not exactly a regularity, experiencing similar. But by following the advice we had received in the last few days, I soon found calm and confidence. The Foundation exam doesn’t last a long time – one hour in total – and it therefore didn’t leave a lot of room for procrastination or review (at least at my pace). We would soon enough find ourselves finished, stood in the cold outside the Imparando Centre. As is often the way with these things, we made sure amongst ourselves to represent every conceivable attitude to our chances of success and failure. Discussion about specific questions the exam had to offer flowed freely, of course. For some Foundation-only delegates, these would be the last moments spent together on the PRINCE2 certification journey, so eventually goodbyes were said and ways were parted. The vast majority, though, would be back to receive our results tomorrow, learning whether we had qualified to sit the upcoming Practitioner exam – the ultimate goal of our attendance. There was no homework assigned for Wednesday night, so for me and a few others it was off to a nearby pub for some well-deserved recreation (or networking, if you like). There I managed to wrangle a testimonial from one Foundation delegate who would be heading home following the day’s examination, taking his newly acquired knowledge directly into his day-to-day business. He said he was “much better able to manage the challenges relating to project management at his workplace” and “thoroughly impressed that such a large, complex subject had been compressed into such seemingly manageable portions.” I couldn't agree more with that summation. Summary: A project management novice learns a lot in two days; he and his fellows come to think of their ILX trainer as bit of a pal as well as a tutor, and the delegation finally comes to face off with the PRINCE2 Foundation exam. In the next blog of this series, the delegate gets his results from the Foundation exam and gets ready to engage with the Practitioner portion of the course. If anything above here has sparked your interest and you’d like to learn more about the PRINCE2 Foundation & Practitioner Classroom course, just follow the link, and check out the last part of the blog if you missed it.